Christmas Eve at our house | Where have the days gone? Clockwise from the bottom left: homemade Sangiovese (the Pinot Grigio is apparently being poured by someone at that moment), cranberry juice/sparkling water mix, rye breads, bread basket with rolls (bought), sandwich fixin's (mozzarella, provolone, swiss cheese, prosciutto, roast beef, turkey, sliced tomato, baby lettuce, mayo, coarse mustard), sushi (what? store-bought, but passed the Carrie test), veggies & ranch dip (red & green bell peppers, cauliflower, broccoli, mushroms, all organic), cranberry-apple dish that L always makes (a portion with no nuts, for me! 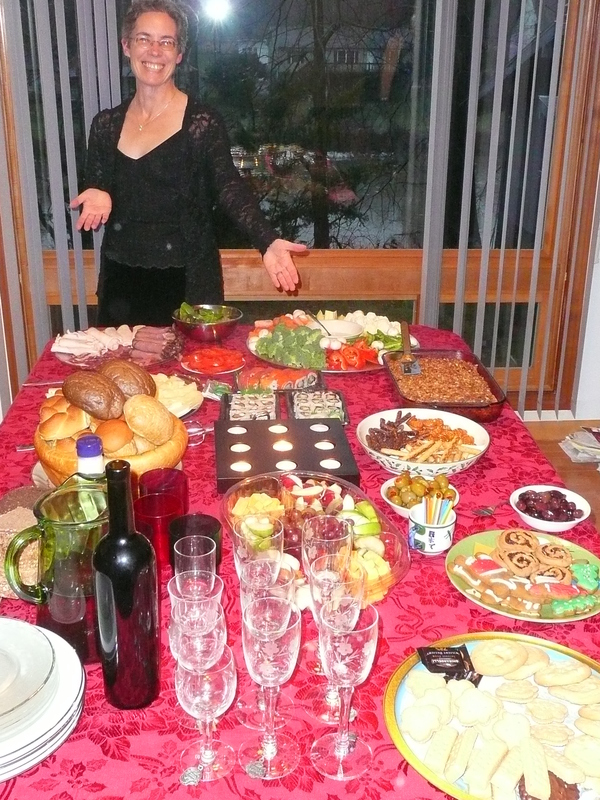 ), various pretzels, green & calamata olives, fruit & cheese, and two plates of cookies. 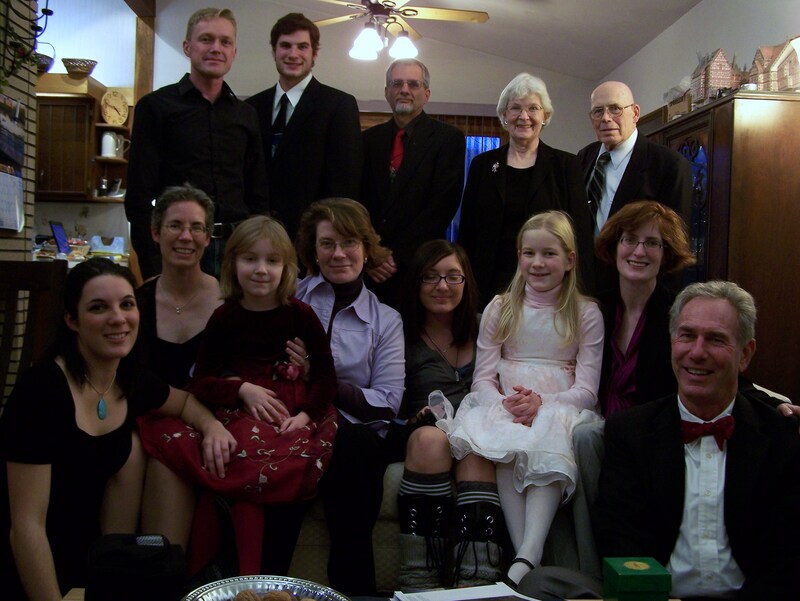 Then we had our family gift exchange, and then most of us (some were a little sickly) went to Christmas Eve service at our church, where I was singing in the choir – a beautiful service as always, including singing "Silent Night" by candlelight at the end. Looks wonderful and sounds like a fun busy day! Bonnes Fêtes !Bonne Année !Happy New Year ! Looks like a great spread and a wonderful party. We had our first Christmas Eve gift exchange this time courtesy of my husband's cousin's German wife who hosted a German-style Christmas Eve party on the island. My son felt a bit ripped off that the cousins children were always visited by both German Father Christmas and Australian Santa!